Student organizations are a great way to make connections with other students on campus. One UMD student is launching an organization unlike any other social clubs on campus: A mentorship organization that allows students to help each other. Second year student Naseem Farahid has been working on developing the new organization, which will be called Accepting You - The Hearth Guild. Accepting You recognizes that students may still have questions and need more help getting settled even after first-year programming like orientation and Bulldog Welcome Week. “I know how much UMD has given me, like allowing me to be in the major that I truly love and meeting people who I consider to be more than friends—like family—so I want to share the amazing environment that UMD is and share it with incoming freshmen,” Farahid said. The organization involves students serving as mentors to other students, helping them in whatever subject areas they’re knowledgeable about. For example, a mentor who knows a lot about physical fitness could have sessions teaching other students about weight-lifting. 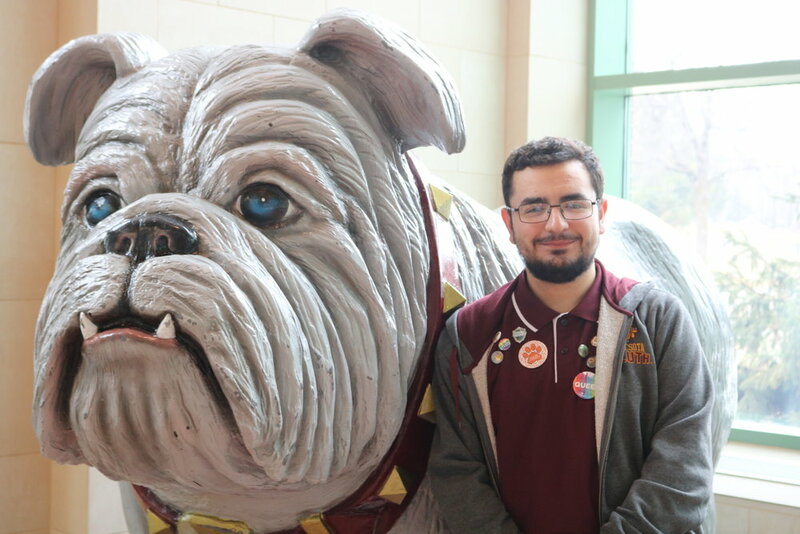 “My hope is that [...] mentors get to know their groups on a personal level and to know that their students have at least one person to connect to at UMD,” Farahid said. Accepting You is still in the process of development, but will have a soft launch in Fall 2019. The organization will work on a micro and macro level. There will be larger events that many students may attend as well as other one-on-one or small group sessions. There will be opportunities for mentors to bond and hang out, and there may be workshops that allow students to learn new skills. Accepting You is looking for mentors for the organization. If students are interested in learning more about the organization or applying to be a mentor, they can contact Farahid at farah189@d.umn.edu. Student organizations are also encouraged to contact Farahid if they are interested in collaborating on future events.